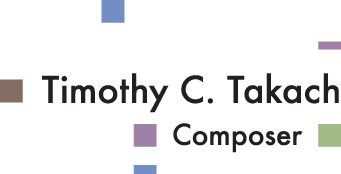 Through a consortium of choirs, Takach is writing a new choral cycle for SATB and piano on newly commissioned texts. These pieces will take their inspiration from moments and scenes from film and will explore humanity in it’s most fundamental emotions: hope, bravery, fear, companionship, etc. Active retelling of these stories can help us to access and explore our own experiences. More information here. Takach will write a companion piece to "How to Triumph Like a Girl," which won the 2018 Minneapolis Song Slam competition. Scored for mezzo-soprano and piano, with poetry by Sierra DeMulder. Written as part of the upcoming Helios cycle, this piece was commissioned by the Washington Community High School, Lara Reem, director. Takach is writing a 40 minute oratorio based on the Tomb of the Unknown Soldier for the Heartland Men's Chorus. Libretto by Robert Hill, premiere June 7-10, 2018. "An Alchemy in the Bones"
Takach will write a commission for the Rhodes Singers of Rhodes College in Nashville, TN. He will set the poem "An Alchemy in the Bones" by William Reichard for SATB, piano, harp, and percussion. Takach has received the annual commission from the Ithaca College School of Music for the Ithaca College Choir. He has set Poe's famous poem "Annabel Lee" for a cappella SATB choir. The premiere will be performed by the Ithaca College Choir, conducted by Janet Galvàn. "This is How You Love"
“This is How You Love” will be a multi-movement a cappella choral work co-written by Jocelyn Hagen and Timothy C. Takach. Seattle choir The Esoterics commissioned the piece with partial funding from a grant from the NEA (National Endowment for the Arts). It will be performed 4 times during the premiere weekend in February, 2018. The piece is a modern dialogue about the many aspects of marriage; from first love and infatuation to conflict and compromise. Texts for the piece are sourced from multiple contemporary poets, and are interspersed with excerpts from couples therapy sessions. This will be the first collaborative composition between composers Hagen and Takach, who are a married couple from Minneapolis, MN. Takach is working with the Minnesota Orchestra and Minneapolis based ComMUSICation to arrange a set of five folk songs, set for unison voices, viola and double bass. Takach wrote a new piece for the GRAMMY Award-winning ensemble Roomful of Teeth, for their live performance and recording in The Tank, an alternative concert venue in Rangely, CO. The piece is approximately 8 minutes long, and is scored for 8 a cappella singers. Green Box Arts and the Colorado Vocal Arts Ensemble have commissioned Takach to write a new 5 minute choral work for the Summer Green Box Arts Festival in Green Mountain, CO. The piece will based on Norwegian myth and will focus on the cycle of destruction and rebirth. This 16' piece for choir and chamber orchestra was commissioned by the Saint Paul Chamber Orchestra for a celebration of community outreach.